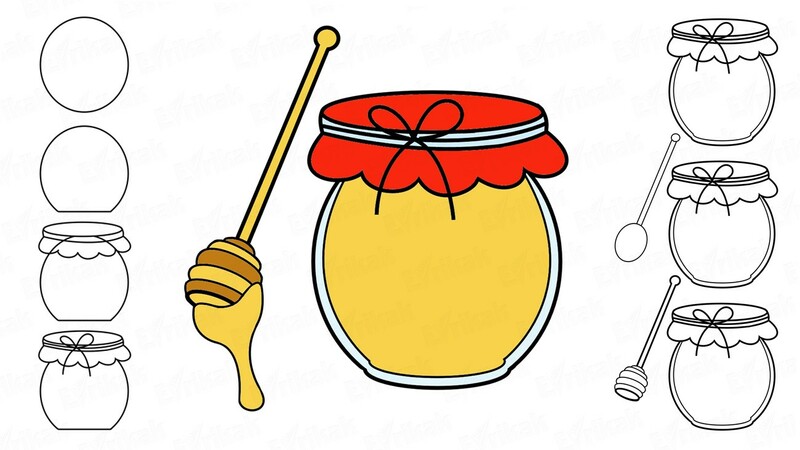 When drawing Winnie-the-Pooh a child often wants that the bear had a pot of honey in his paws, like in the cartoon. 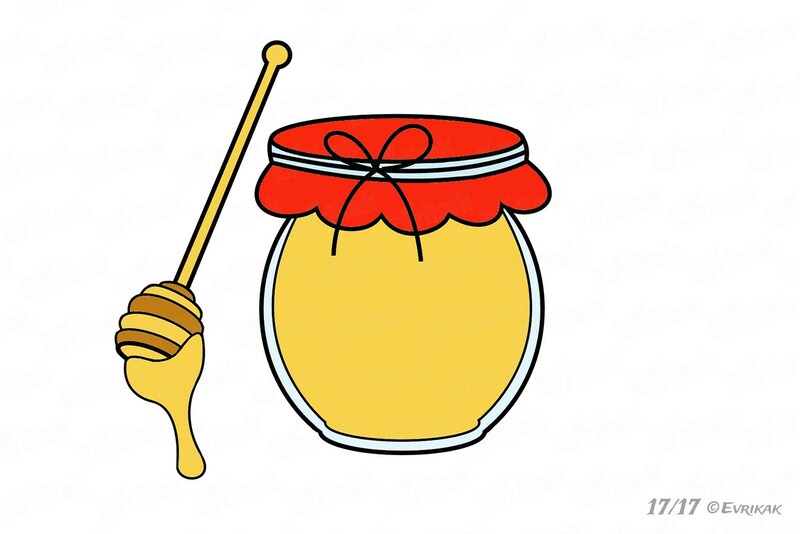 How can one imagine this character without honey? 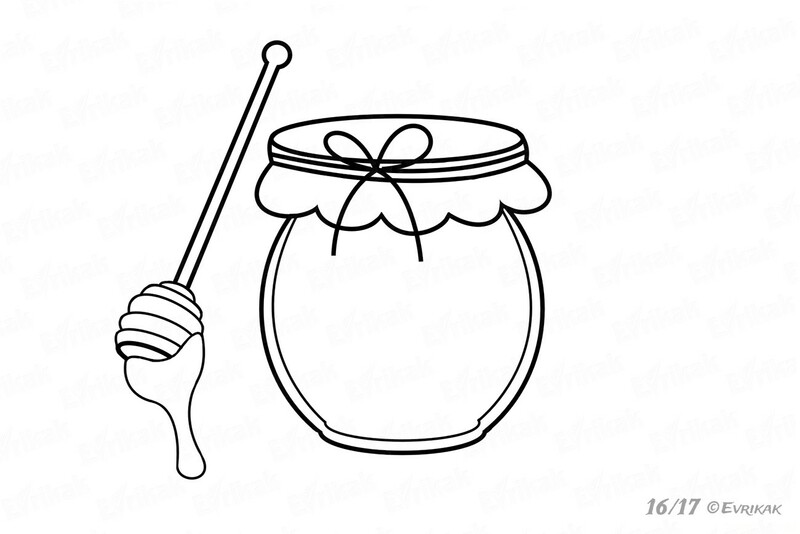 We offer you to learn how to draw a pot of honey first in order to draw the whole picture with Winnie-the- Pooh then. 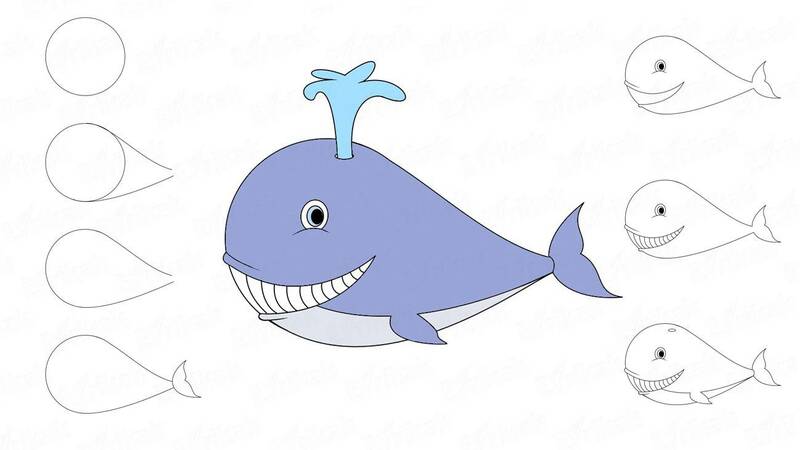 Then it will be much easier to draw. 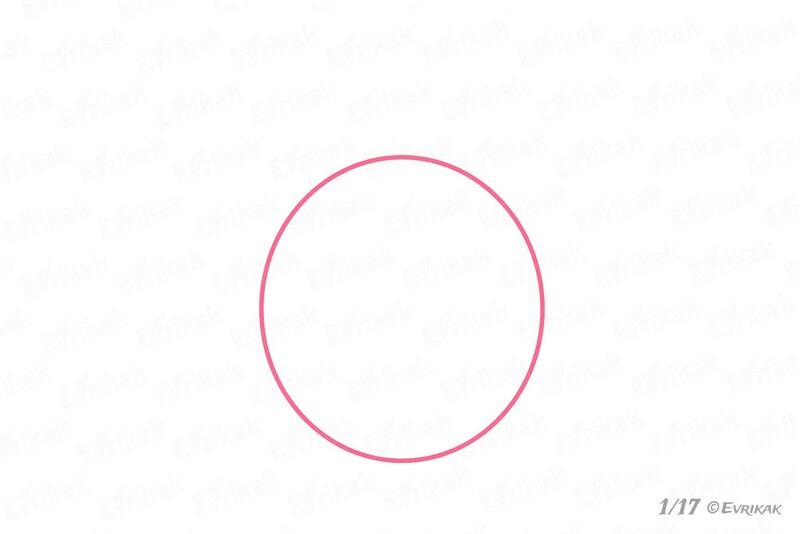 Draw a large circle on a sheet of paper. Use a compass in order to make it easier. The lower part of the pot is cut off to prevent it from falling. 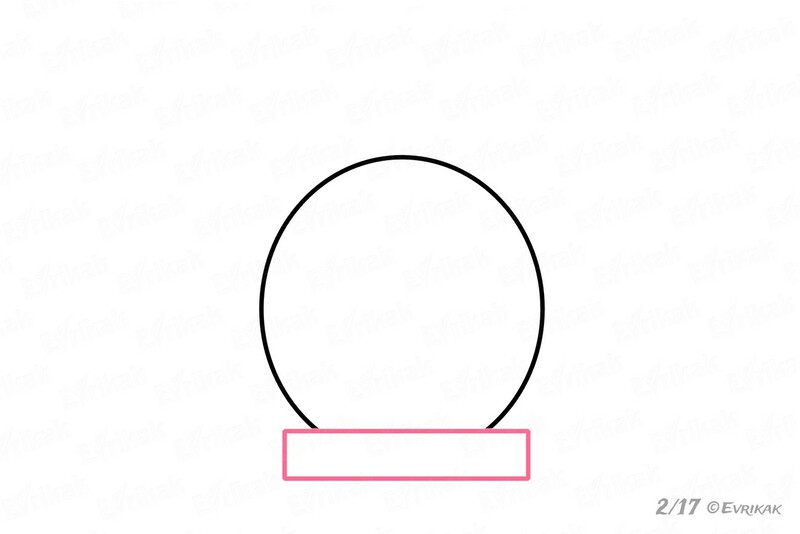 Draw a rectangle that hides one part of the circle. 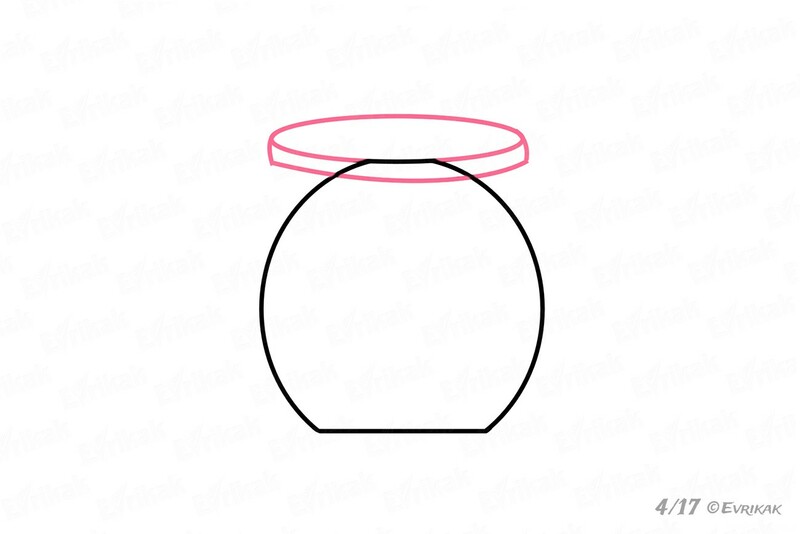 Erase almost the entire rectangle, leave the line, which intersects the pot. 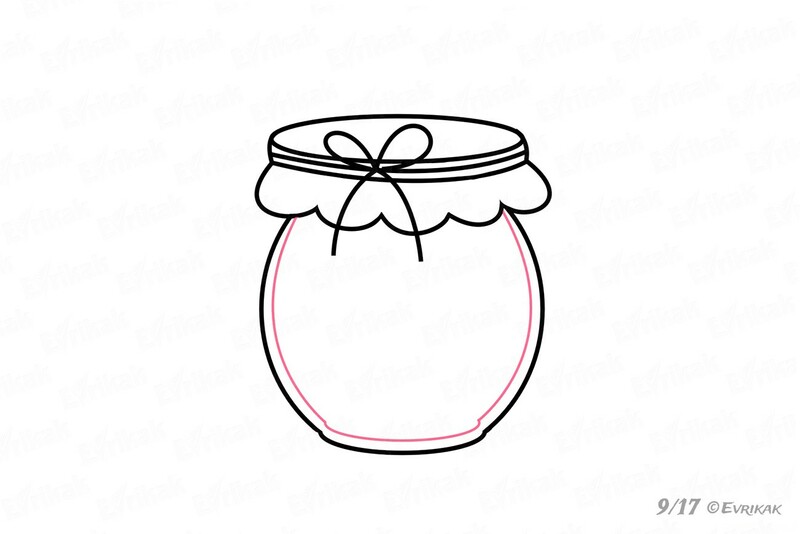 Draw a wide pot’s neck. 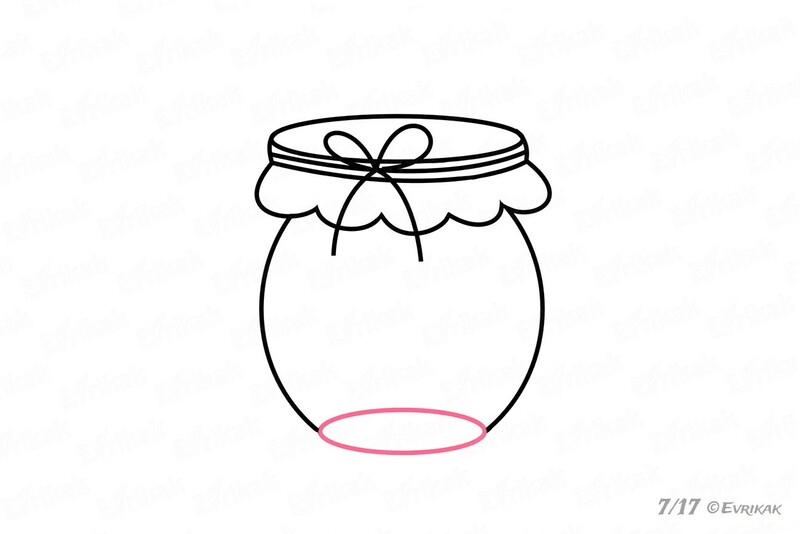 To do this, draw an oval and add a curved line below, which will indicate the volume. 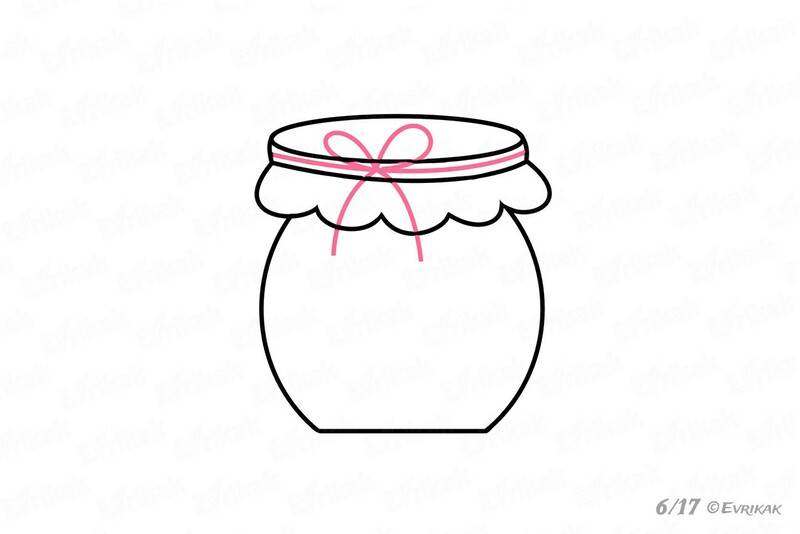 The pots had no lids, so they were closed with the help of cloth. 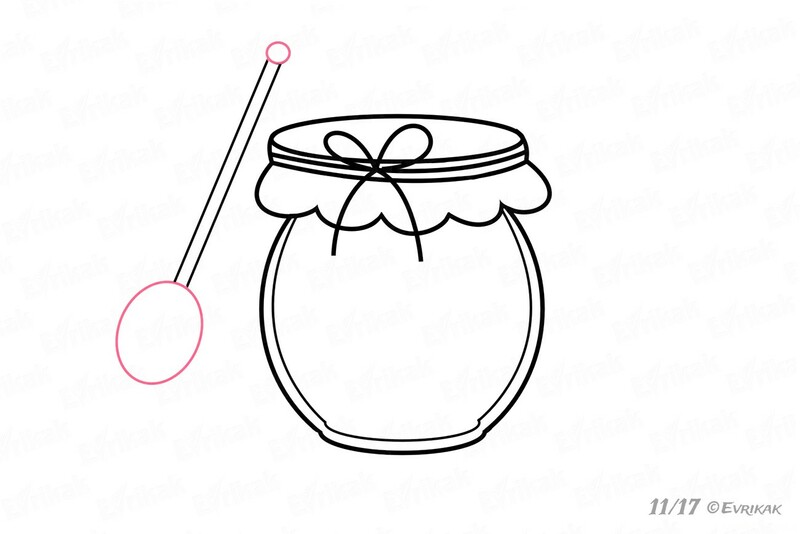 Draw a part of the cloth under the pot’s neck using the wavy lines. Add a rope around the pot’s neck, tied to the bow not to lose the cover. Don’t forget to erase unnecessary details. The pot has a slightly rounded bottom. Correct it depicting a small oval. 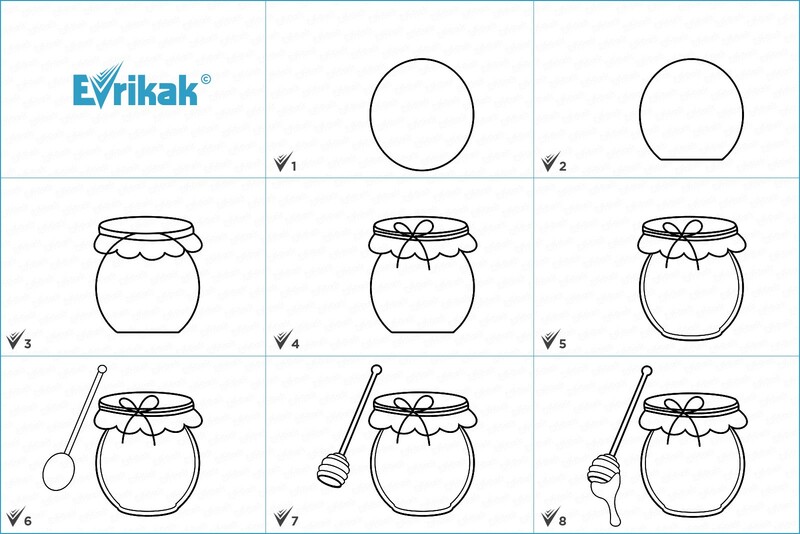 Erase a half of the oval, connect the parts of the drawing correctly. We draw a glass pot so you can clearly see its thickness. 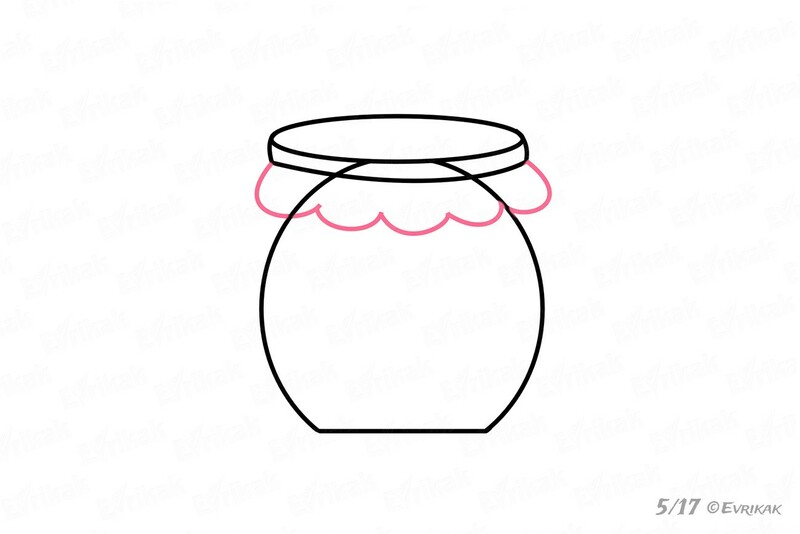 Draw the same contour of the pot inside the container. It must be smaller. Draw a long thin rectangle on the left side, marking the spoon’s handle. 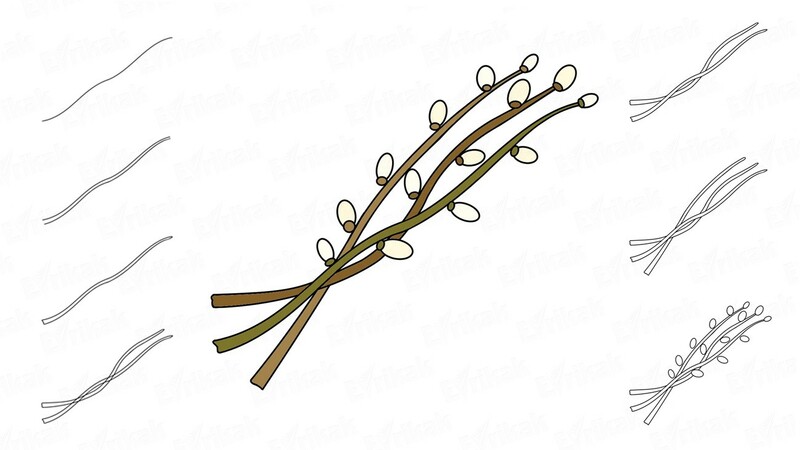 Draw the lower part of the spoon in a form of an oval. You use it to eat honey. 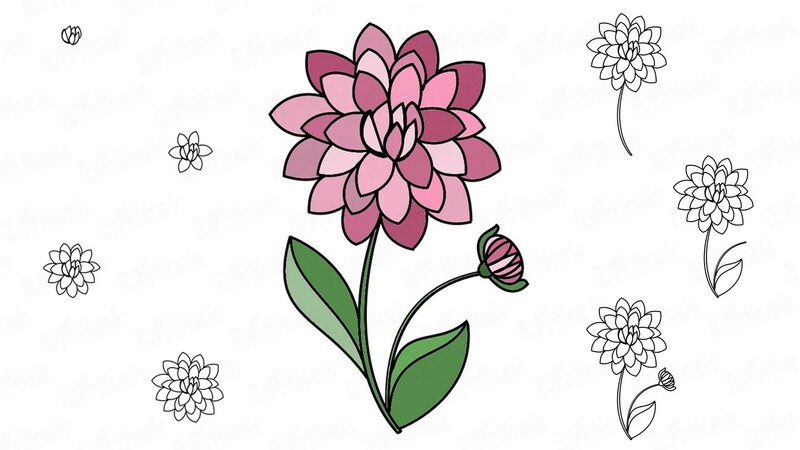 Erase a third part of the oval, draw the detail in such a way as if it was cut. 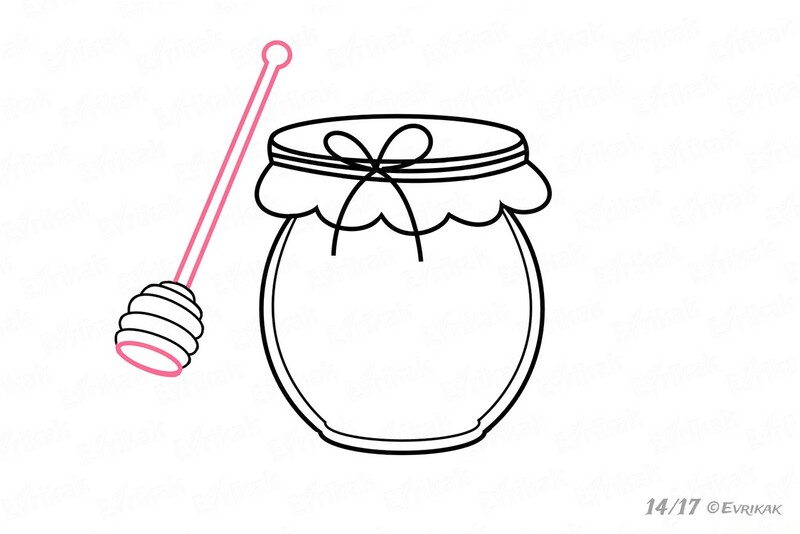 Spoon for honey is unusual. Its lower part look like the connected wooden circles that resemble to a small beehive. 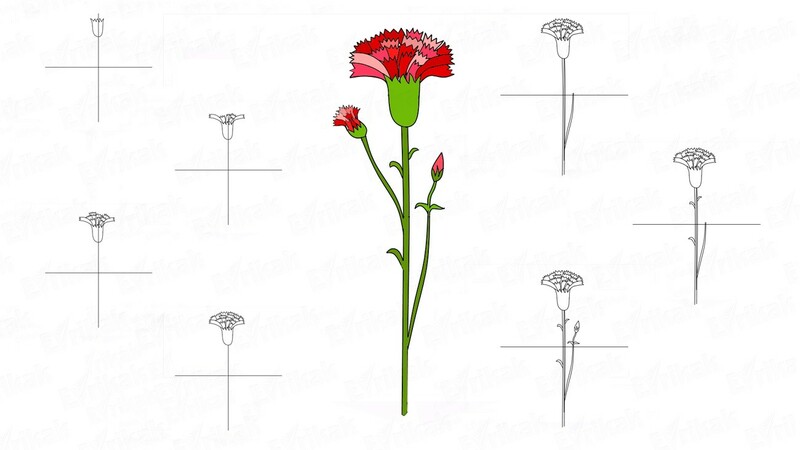 Draw them of different sizes. Circle the spoon’s contours, making them more clear. 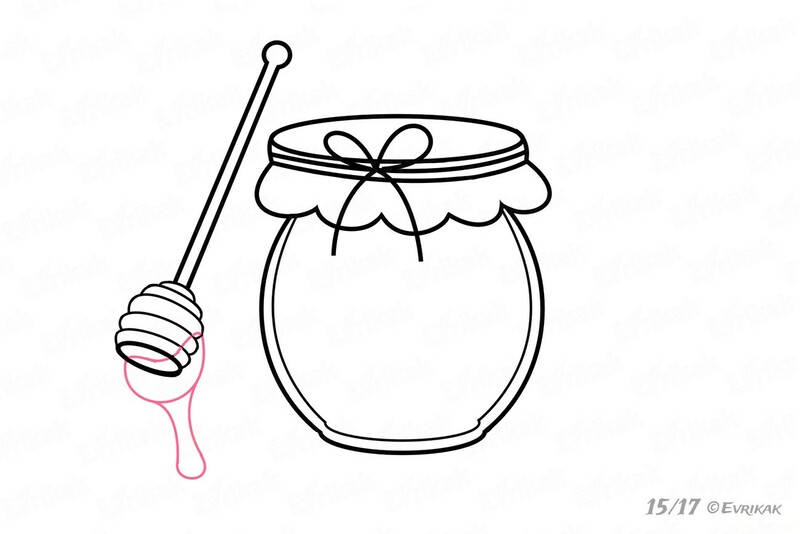 Draw the honey on the spoon. You should take into account that it drains so it’s almost on the tip. Color honey dark yellow. Spoon is orange brown. The cloth on the pot’s neck can be of any color. You can also color the honey pot online. It’s an interesting and exciting activity.